We teamed up with Myles Weissleder, SFNEWTECH and Startup Weekend to host the most audacious Poker 2.0 to date. As a Web 2.0 Conference pre-event, the place was packed with a whos-who of the Valley tech and investment capital worlds. And what a place it was! 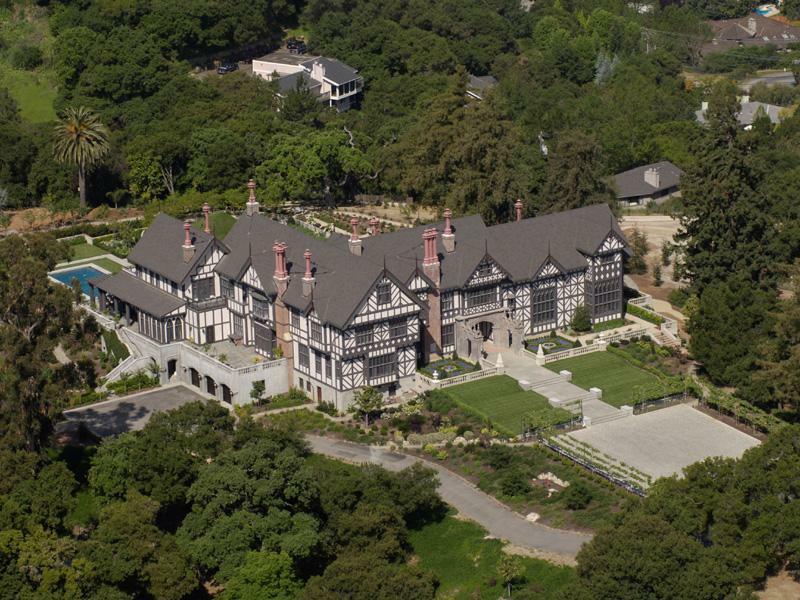 Kelly Porter of Woodside Capital Partners generously made is palatial, 30,000 square foot home available for an awesome night of networking and trash talking. Here’s more deets on this amazing property. The evening started off with 4-star hors d’evours, gazillion-dollar bottles of wine and terrific networking. It was awesome to hear all the buzz and anticipation around the impending poker game. Next up, we all adjourned to the Grand Ballroom for a plated gourmet dinner. 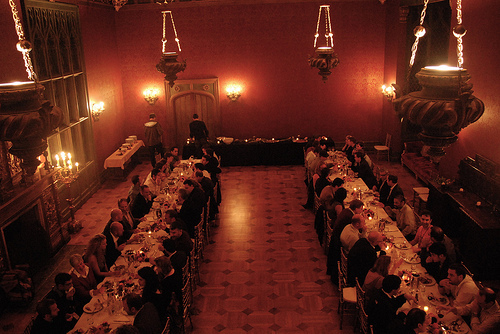 The elegant white tablecloths and chandeliers were nicely accented by hoodie-wearing geeks and black-tie waiters. 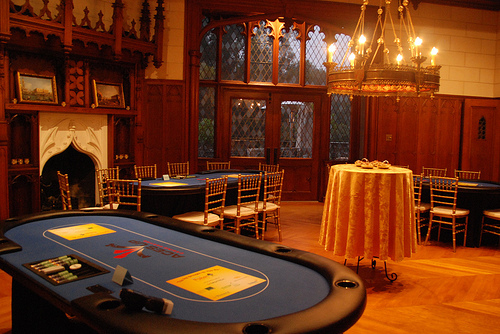 For Poker 2.0 tournament, we brought in professional dealers and tables. We had a full five tables and, regrettably, a bunch of disappointed wait-listers who didn’t get the memo on registering for the tournament in advance. The entire experience was over the top. But my favorite factoid is that three out of the four Seattleites who attended finished in the money! Including Andy Sack (1st), Rep Porter (3rd) and Cambrea Ezell (4th). The only Seattleite wh o didn’t finish in the money is your’s truly. 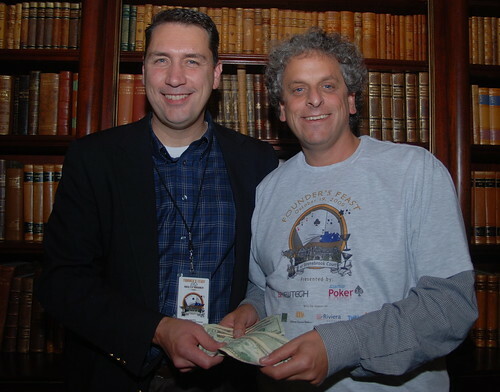 Of course, Andy is a poker legend in the Seattle startup scene and Rep is a WSOP bracelet winner. I’m just sayin’. You can check out the full photo gallery of the event. Special thanks to Julie Blaustein Photography for the awesome job. If you ever need an event photographer I HIGHLY recommend her.